Well, that's what I want anyway, though I can't find anything that really appeals to me. I've loved this template, but can't seem to make it do what I want it to lately... and the right column is 'jumping' on both my computers so I'm guessing it is on everyone else's too - REALLY annoying. Obviously want something to do with irises - wasted most of this afternoon looking around online. So, it's frustrating.... but then I get frustrated easily these days it seems. 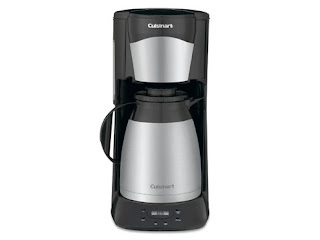 Need a new coffee pot! Mine died this past week. Fortunately I still had my old one so it's back in service. Unfortunately, I seriously dislike it! My last one had a thermal carafe. It went off when the coffee was made, but stayed reasonably hot for awhile. The one I'm back to using will shut off in 2 hours, but coffee left sitting in a glass carafe on heat tastes really nasty after 2 hours. My daughter in law gets up at 5AM - she drinks the first couple of cups. I'm normally up around 7ish - I'm the "bring coffee and no one gets hurt" type, so I don't want to have to fool around with making fresh coffee. Choices right now are warmish, burnt coffee, or cold coffee. Nor can I see paying $100 for a coffee pot that isn't going to last more than a year or two (they never do). 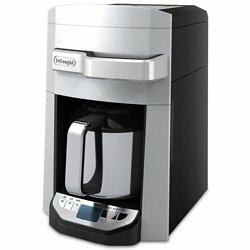 Then there's this Cuisinart - which does get good reviews - but it is $100. SOOO, anyone have any suggestions, ideas?? ?